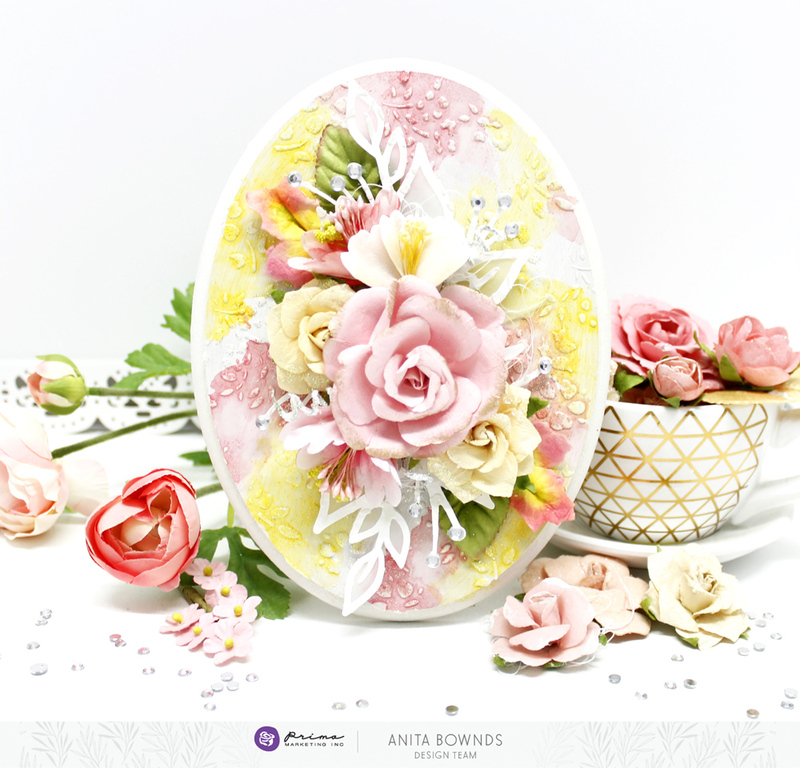 Anita chose softer tones from the pink and yellow choices to design this stunning piece. To create it Anita started with an oval wood panel covered in heavy gesso. Next she used the tubaroses stencil with modeling paste, sprinkling glitter over the top while still wet. 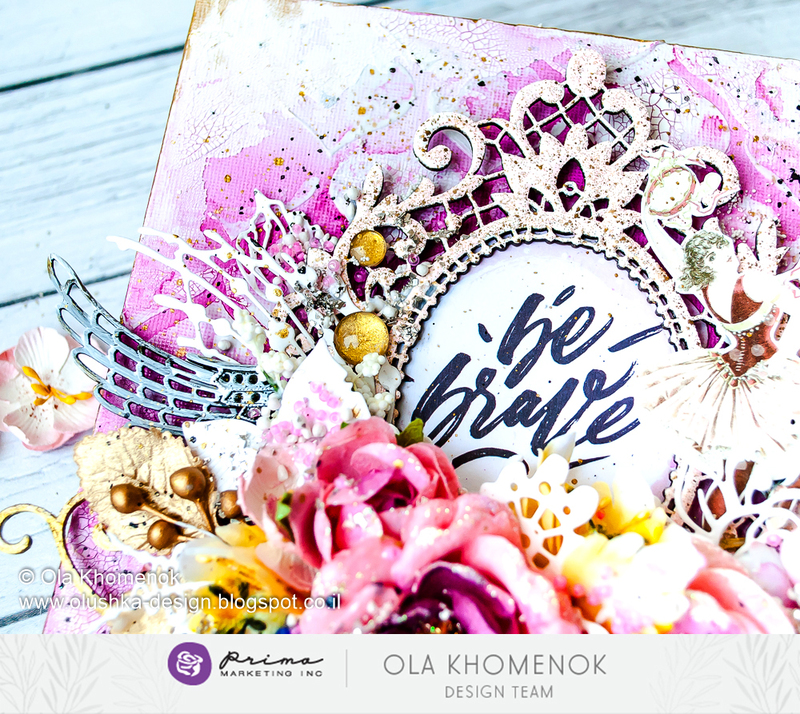 She heat set it till it was dry, then she added watercolour using the Tropicals Confections set, finally finishing with Prima flowers! If you want to play along this month here are a few products that would coordinate beautifully with this stunning palette!